Are you a metal fan? How about a beer enthusiast? 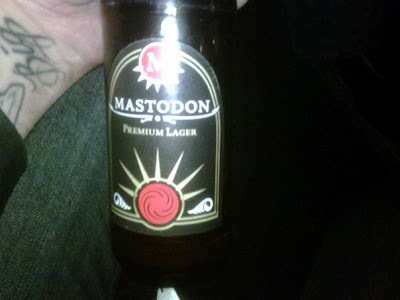 Well, here's proof that Mastodon Lager exists (outside of Brent's imagination, that is). The private-stock German brew may actually find its way to the States. Get ready to drink up, Atlanta! *Photo lifted from Darren Sanders' Facebook page.